If you’re trying to sell your home, you may think working with an agent is the only way to go. You also may have heard rumors about the drawbacks of selling a house to an investor instead. We’re here to dispel those myths and let you know more about how the selling process works. It’s natural for homeowners to be concerned about how much their home is worth and whether they are getting a fair deal for their property. Considering that 31% of people who are struggling to repay medical debt owe at least $5,000, every little bit counts. But selling your home to an investor can actually end up being more beneficial than working with a realtor. For one thing, a real estate agent will take a portion of your home’s sale for their own commission; that’s money that you’ll never actually see yourself. And if your home is in need of major repairs, you’ll have to spend money out of your own pocket to fix it up if you choose to sell with help from a realtor. Selling your home to an investor allows you to sell “as is,” which means you can put money from your sale to better use. Jumping off what we said about selling your home “as is,” you won’t need to make repairs to your home before selling to an investor. When you work with an agent, you’ll usually have to make renovations or factor the work needed into your selling price. You won’t typically need to get an appraisal or a home inspection when you with an investor, either. That means you’ll save quite a bit of time while still being able to obtain a fair offer for your home. This myth often stems from not knowing how the selling process works with an investor. Actually, selling to an investor is typically a lot faster than selling your home the traditional way. When you work with a realtor, you’ll have to spend time marketing your house, hosting open houses, and negotiating with buyers. This process can take an excruciatingly long time, even in the best of circumstances. And if your home needs additional work, you could be stuck there for quite a while — months or even years longer than you need. When quick home sales are needed, many people will turn to an investor. You’ll receive a fair cash offer in a very short amount of time and will be able to start a new chapter quickly. Because we buy houses in need of extensive repairs, you won’t have to waste time on the steps that accompany the traditional selling process. Instead, you’ll be able to apply, receive your offer, and close on your home in a matter of days. A lot of homeowners have questions about how the selling process works when an investor comes into the equation. As with virtually any business or industry, there are bound to be unscrupulous individuals who are looking to take advantage of people who are down on their luck or who are eager to sell quickly. But these instances are really quite rare and can be easily avoided if you do a bit of research and trust your gut. Of course, you should make sure to do your homework on any investor before agreeing to work with them. But don’t let your fear of being scammed deter you from working with a real estate investor. There are tons of legitimate and reputable investors out there who will give you a very fair deal and allow you to move on to the next chapter of your life in a short amount of time. 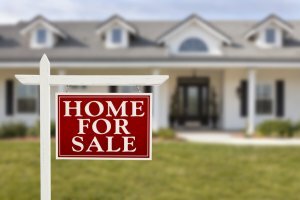 To learn more about how the selling process works or to get help selling a home, please contact us today. We’d love to be of assistance to you in any way we can.